Your satisfaction is 100% guaranteed. 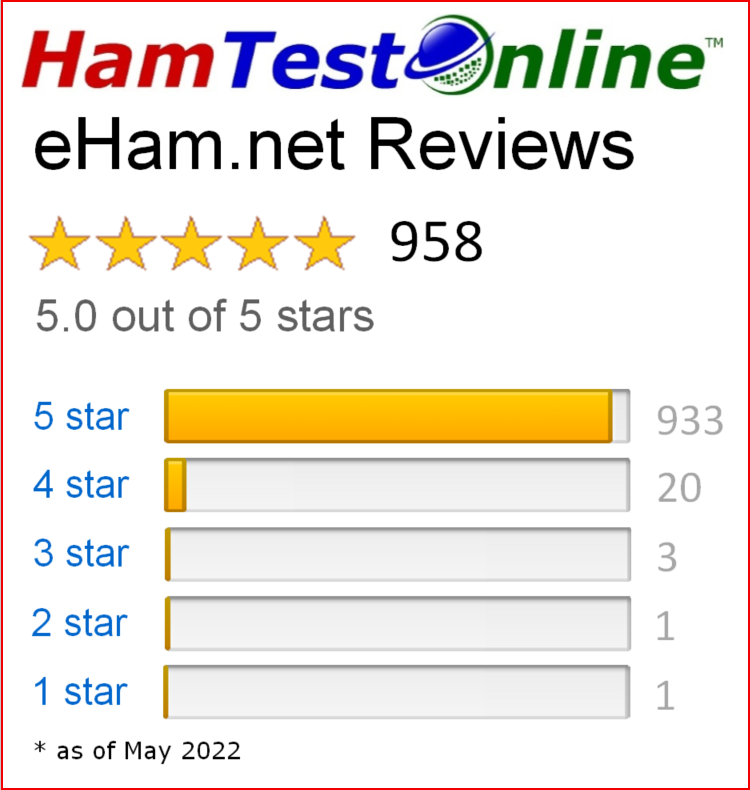 If you fail an amateur radio license exam after preparing on the HamTestOnline™ website, or if you are dissatisfied with our service for any reason, we will cancel your subscription and refund what you paid for it. This is a no-brainer — you pass the exam or get a full refund! Our refund policy reflects our confidence in the quality of the course. 97% of reviewers on eHam.net give us 5 stars, and our refund rate is less than 1%! We must receive your refund request within six months of the date of purchase. Please note that this study method is more effective for individuals than groups, because in a group setting, the software cannot customize repetition to each individual. So as with any other group training method, a large group should not expect a 100% pass rate. We would consider it inappropriate for a group to study together using a single subscription, then request a refund if a few of its members did not pass the exam. This is our only guarantee. Our liability for errors or omissions on the website is limited to refund of the price of your subscription.